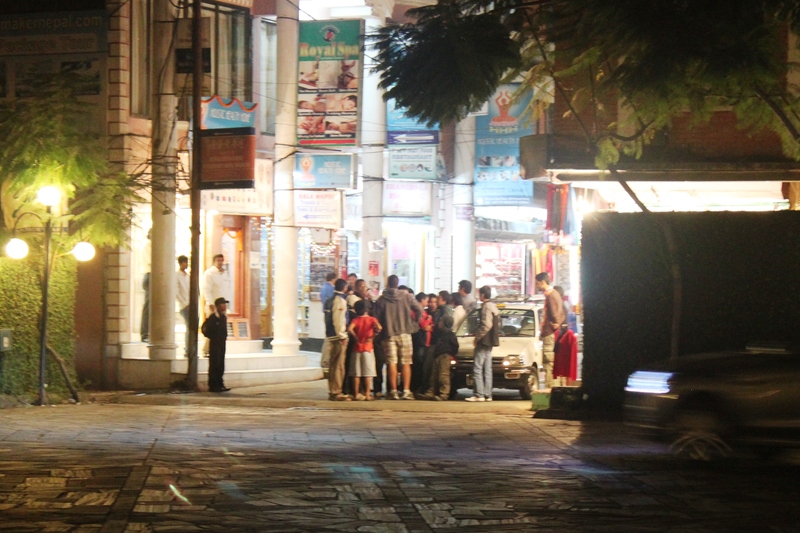 Remember that time when Chris was surrounded by a throng of riled up shopkeepers in a back alley in Kathmandu? Well, we went back to that very spot last night. A few months ago as I was planning our trip to Bhutan, I was a little bit excited when I realized that we would need two long layovers in Kathmandu. 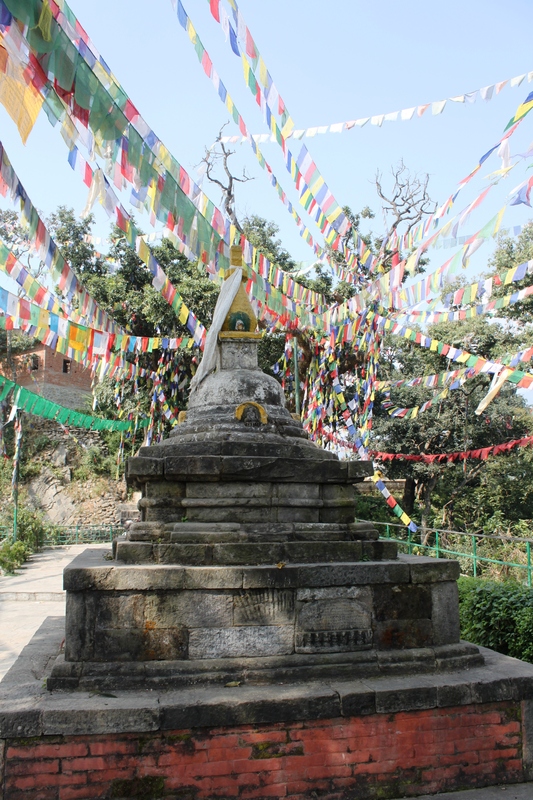 I was keen to re-visit the Monkey Temple and Darbur Square, but most of all I was excited to go back to the Yak and Yeti. Next weekend we will have a day of sightseeing in Kathmandu, last night was just an overnight before our flight to Paro, Bhutan this morning. 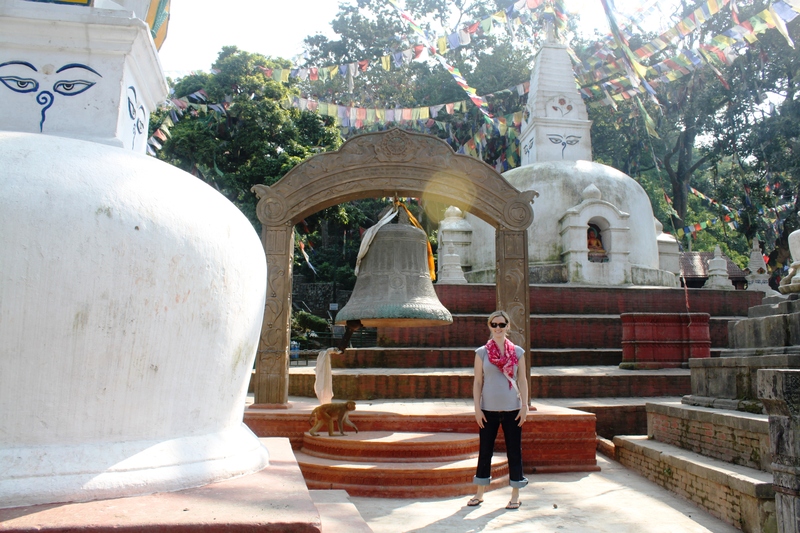 When we landed in Nepal yesterday, I was really excited about our stay at the Yak and Yeti. A few years back, we stayed at the Hyatt, which was lovely, but did not seem nearly as authentic. Upon arrival at the Yak and Yeti, it seemed as grand as I remembered it. However it quickly devolved into an experience that was much more authentic than I was expecting. Our hotel, billed as a five-star accommodation, may have been five stars when it opened, but our room had not seen an update since the 1960’s. It was dark and in disrepair with stained carpets and a mildewed shower. On a positive note, we will not be staying there again next weekend when we pass through the city. 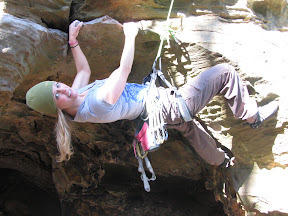 I am eagerly and nervously awaiting some of our more obscure accommodations in Bhutan and I am still excited for the Monkey Temple next weekend! Our first exciting night in Kathmandu left me not knowing what to expect for the remainder of our stay. On one hand, I was curious about the area, somewhat enchanted by the Buddhist temples, and thrilled to finally see the Himalayan foothills. On the other hand, I was feeling extremely wary of being taken advantage of as a tourist. Ultimately, I was happy that I got to visit Nepal, but I was really surprised that I did not love it as much as I anticipated that I would. Perhaps if I had been willing to let more things slide, relax a bit about knowingly being taken advantage of, and just generally chill out I would have left Nepal with a much more positive impression, but that just isn’t how I operate. Things like that bother me. A lot. Putting all of that aside, let’s take a look at our next few days in the Kathmandu Valley. 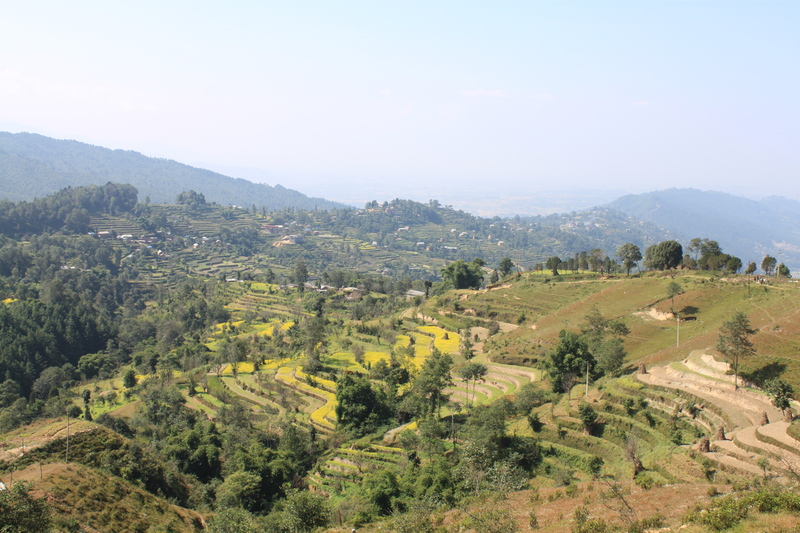 The first item on our agenda was to go to Nagarkot to try for a glimpse of Mt. Everest. During the sometimes harrowing ride into the hills, there were many interesting sights. 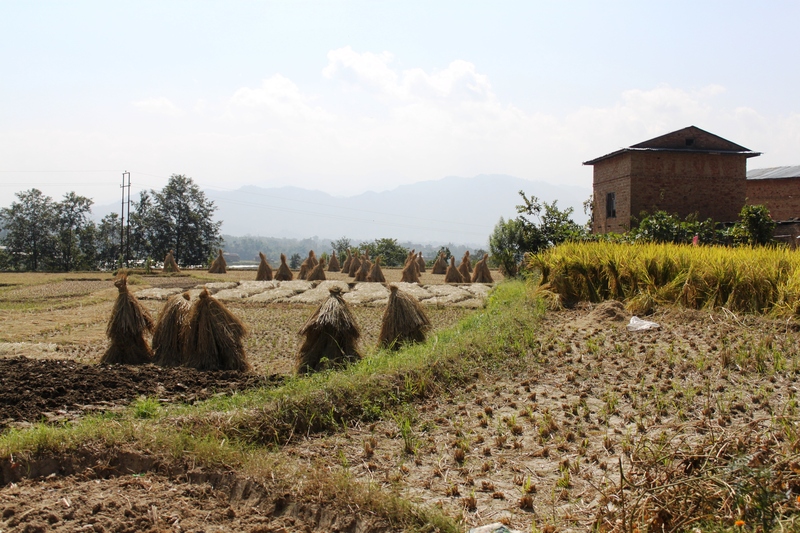 I enjoyed seeing the terraced fields and distinctly Nepali haystacks. 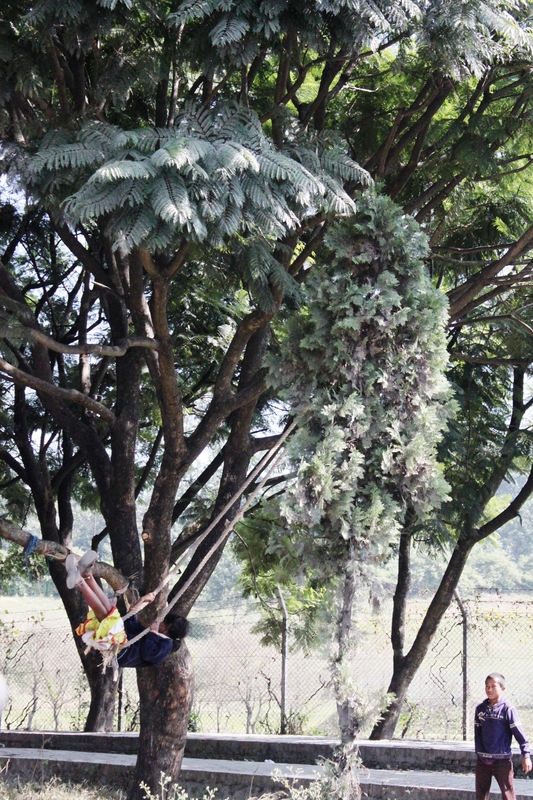 One of my favorite things was probably the giant swings dotting the hillsides. The swings looked like a lot of fun! As we approached our vantage point for Mt. Everest, we were told that some people go back for many days before it is clear enough to see, but we lucked out with a hazy, but still spectacular Himalayan panorama. On the way back to Kathmandu, we traveled through the town of Bhaktapur where many tourists are encouraged to pay $15 to visit the market. We just couldn’t bring ourselves to do it. Had there not been a charge, we surely would have gone in and probably spent many times that buying Nepali sweaters, pashminas, mittens, and who knows what else. The entry fee was a bit off-putting though. 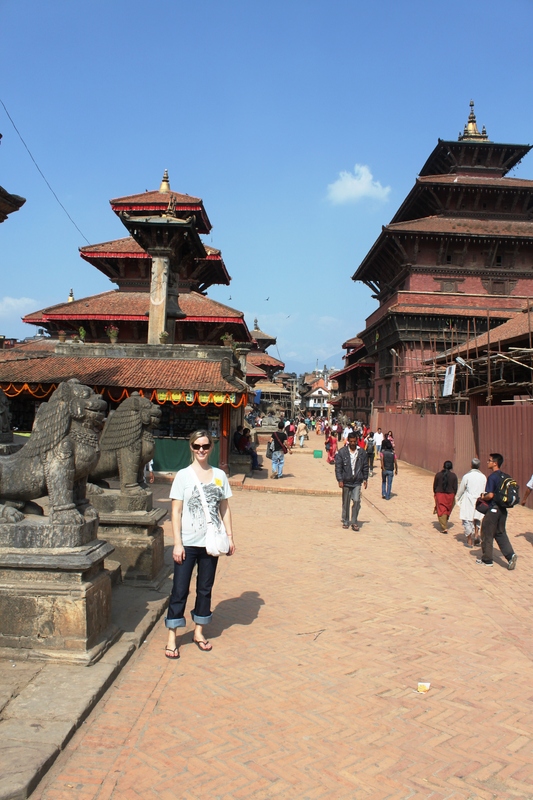 The vast majority of sights that we visited in Kathmandu were temples. 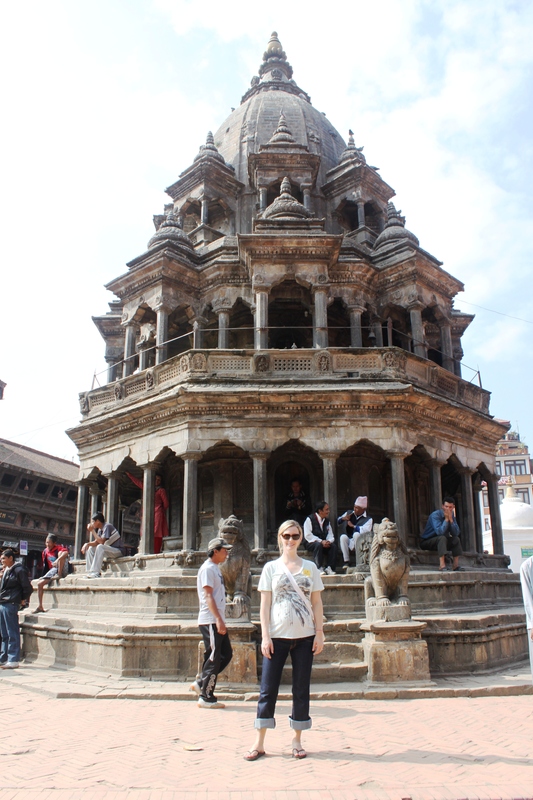 The first stop was Durbar Square where I encountered my first living God, a young girl. I felt kind of badly for her, but that could probably be attributed to my lack of understanding about the situation. 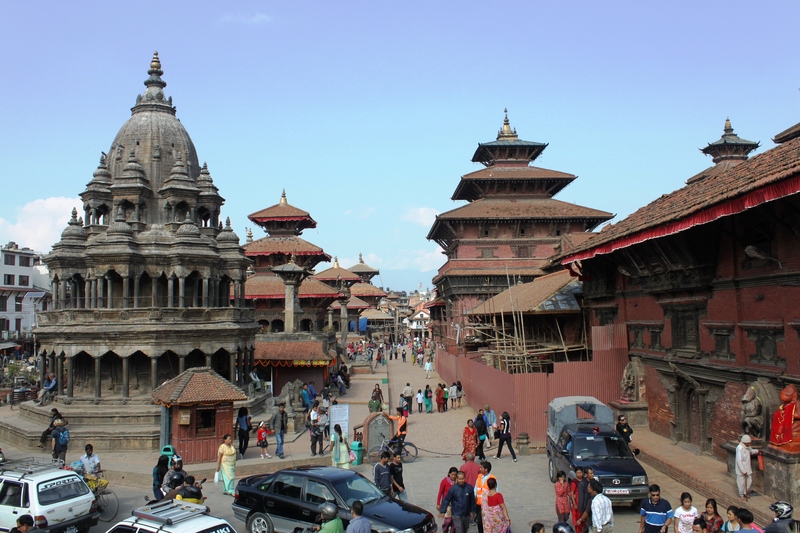 Unfortunately, Durbar Square is also where our camera battery died. Figures. We always carry two, I dropped the ball on charging (or bringing a charger for) the backup battery. Real smooth. At least I had one camera win when I was able to produce a spare memory card earlier that day. 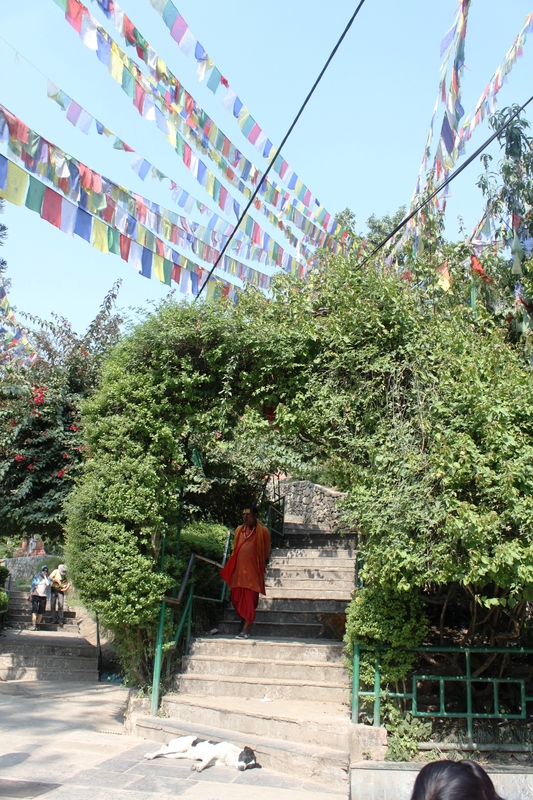 My favorite place in Kathmandu was Swayambhu Temple, also know as monkey temple. 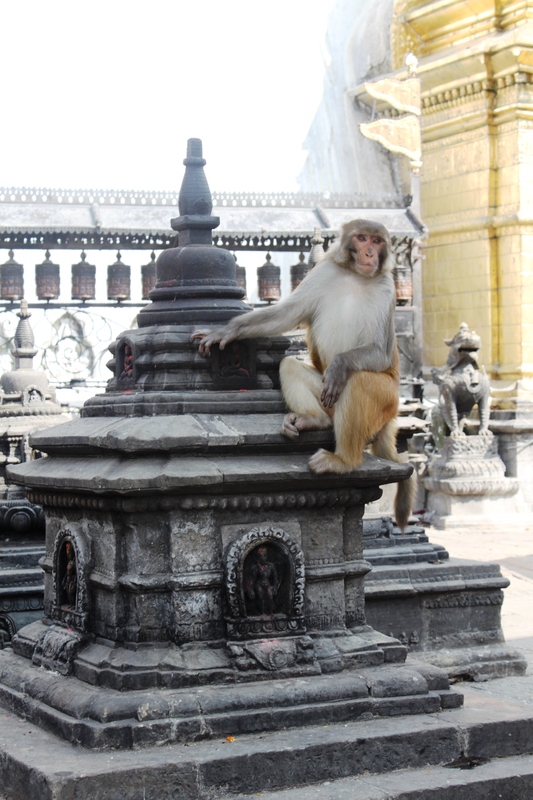 It is a Buddhist temple with a great view of the city and, of course, tons of monkeys. I think that Chris might still be a bit scared of monkeys since his monkey attack in Tanzania, but he powered through like a champ. 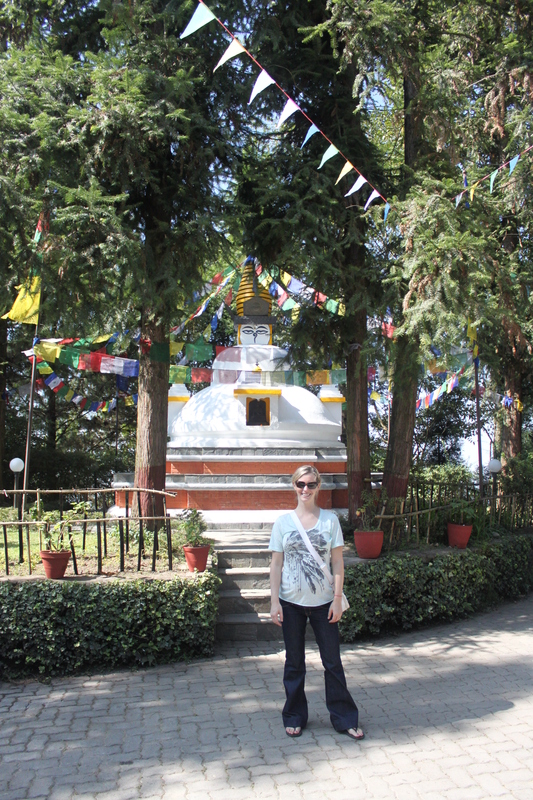 I have decided that I have a strong preference for Buddhist temples over Hindu ones. Not that there is anything wrong with Hindu temples, it is just that they tend to be a bit more chaotic and I appreciate the peacefulness that I have encountered at even the most touristy of Buddhist temples. We made a brief stop at Basantempur, but it was entirely too crowded for me to enjoy. Surprisingly, it was predominantly packed by locals, not tourists. In retrospect, I probably should have been more patient, but there were so many people that it was difficult to even progress down the street. I would almost equate it to trying to push your way to the front at a concert, but with two-wheelers, bicycles, and carts crisscrossing through the pedestrian traffic. Way too much going on for me. 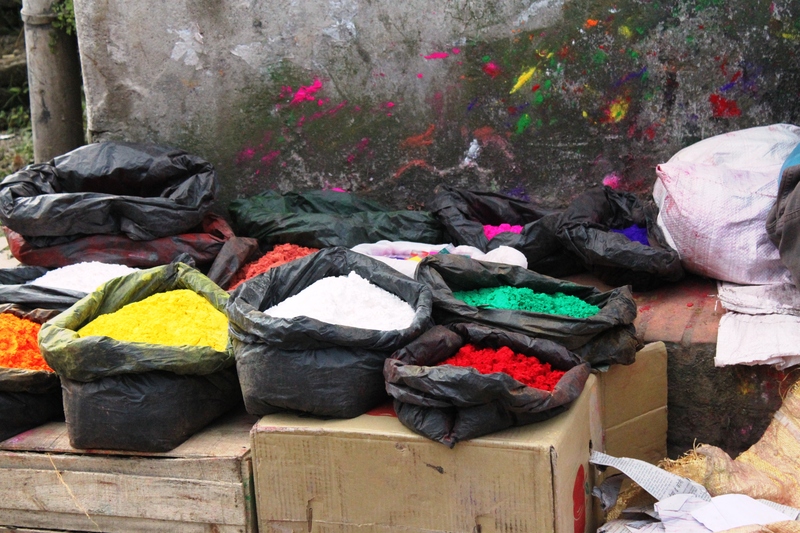 Our last stop in Kathmandu was Thamel, which seemed to be a backpacker enclave with tons of shopping. In theory, we wanted to buy some cool treasures from Nepal, but in practice, most of the stuff was identical to what we can buy in India but marked up sometimes ten times or more. We ended up buying a Nepali baby hoodie, a cashmere sweater, and a pashmina to make sure that we had something to bring home and use up our last few Nepali Rupees. In hindsight, although the trip was fraught with frustration, I am really glad that we did it. 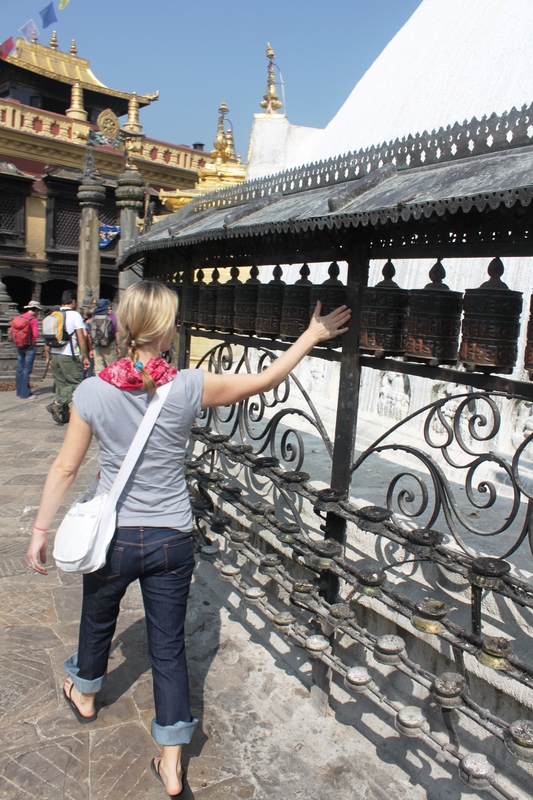 Did I love Nepal? No, not really. Will I go back? I hope so, but I hope next time around I am there to make an attempt at climbing to the top of the world. 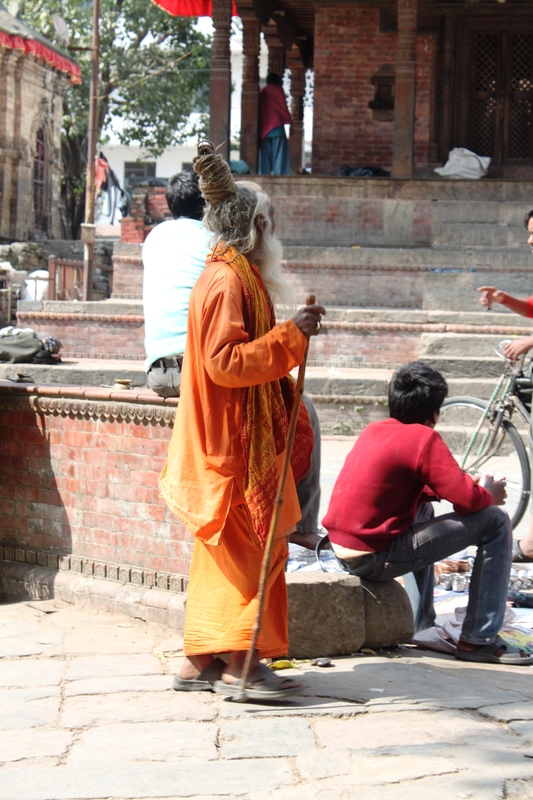 When we arrived in Kathmandu it was immediately apparent that it was a place for shrewd travelers only. Well, if we didn’t want to get ripped off anyway. We made our way to the hotel fairly uneventfully before deciding to head out to find some dinner. This is when the fun began. We got into the first taxi that showed up and began to haggle. The next taxi rolls up. I can honestly say that this was the first time in my life that I have ever been convinced that my cabbie was taking me to a bad place to rob me. A few minutes later, we emerge into a reasonable looking neighborhood and everything seemed better…until we realized that we were going in circles. We exit left and begin booking it towards a nice looking hotel that we saw a block back. Our cabbie pulls a u-turn and begins following us down the empty street as he and Chris shout back and forth. I pick up my pace further and finally reach the nice looking hotel. The Yak and Yeti Hotel. I headed outside, near one of the hotel security guards, so I could at least see if something happened to Chris. By the time he made it back to the taxi, a large crowd had gathered. At times I could not even see Chris within the mass of people shouting in a mix of English and Nepali. I was very worried that Chris was going to land himself in a Nepali hospital or jail. Why now? Seriously, why? Finally, I decided to take some pictures. I’m not sure why I did it, but it seemed like a good idea. More cabs pulled up. Shop owners began pouring out of their shops into the crowd in the street. More yelling ensued. Suddenly, Chris was walking back towards The Yeti. A huge sense of relief washed over me. It makes sense in some ways, but doesn’t change the fact that I was terrified about what was going to happen to Chris. My heart was racing for a few minutes after he returned. News sure spreads fast. Thankfully, we made it ‘home’ with no further incident.